Everything you will need for your environmental, personal, water, and all form of EMF care. 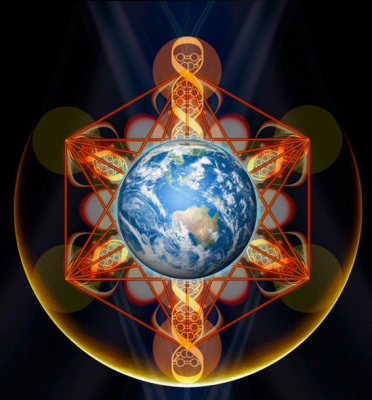 We begin with the Tensor Field Generator for your environmental clearing, which includes the transformation and clearing of EMF, Radionics, HARP, Geomagnetic and Geopathic, Portal/Vortexes, lower vibrational consciousness, and dense energies in general, all within 1/4 mile of your home. 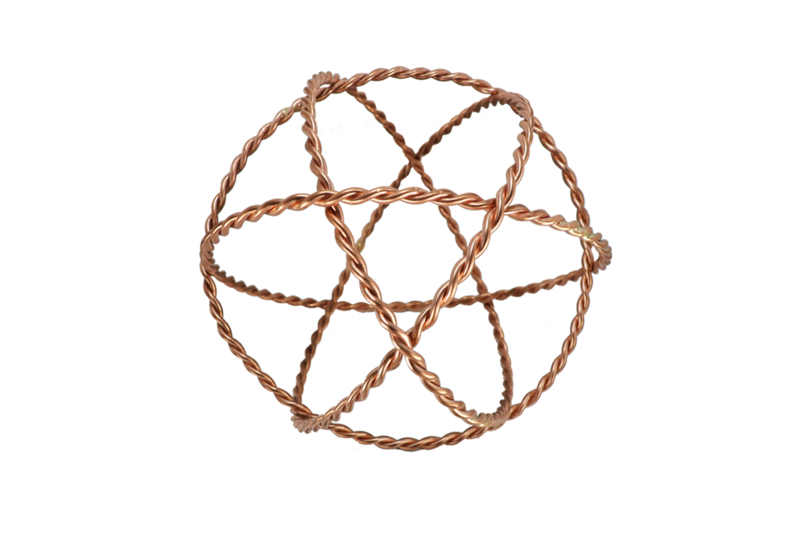 This particular Tensor Field Generator, the Golden Fire Generator, does all this plus brings through a sense of well-being for all those within it's field, as it helps clear connections for each individual, so they may bring in more of their own Light. The 4” Golden Fire Generator extends out ¼ mile in all directions to restructure all nonbeneficial frequencies, including EMFs, Geomagnetic, Cell Towers, Power Lines, Radio Waves, HARP, Radionic Transmissions, Portal/Vortexes, and lower consciousness energies. Next we have the Cell Phone Tab. The Cell Phone Tab Bio Feedback Study: Transmutes harmful EMF’s while providing emotional clarity! Even with a Tensor Field Generator, we suggest for those who carry their cell phone, and always have it within their field,to utilize a Cell Phone Tab. The Wifi Ring is a super versatile tool, which can be used for much more than putting on your Wifi router to transmit beneficial frequencies from. 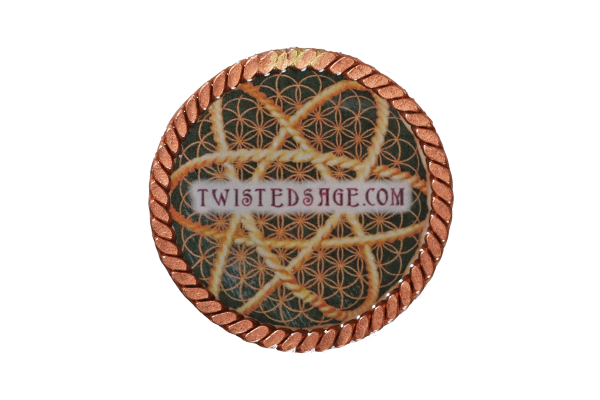 It can be carried in your pocket or as a pendant, placed over water facets, and can also be used over light-bulbs to transmit those unconditional love frequencies of the Golden Fire through the visible light spectrum! Simply place the Wifi Ring on the source of the nonbeneficial frequency, where it will automatically connect to and transform the frequency emitted. If you do not have access to the source of the frequency, having the Wifi Ring anywhere in your field (as a pendant or in your pocket) will protect your field. 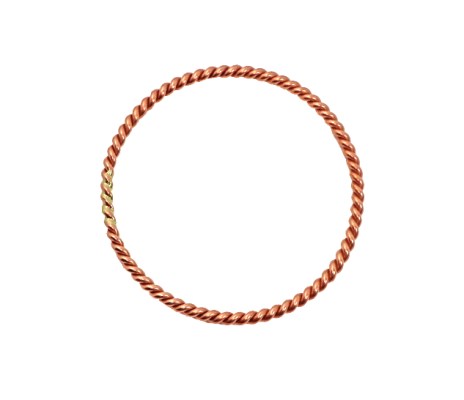 The Water Ring. Tensor Fields, in general, bring water to it's original crystalline structure, making water lighter in weight in the lab due to the positive right-hand high-spin rate, and balancing PH. And that's just what's happening on the physical level. Our Water Rings are also clearing all cell memory of water, and bringing it back to it's original blue print of water! 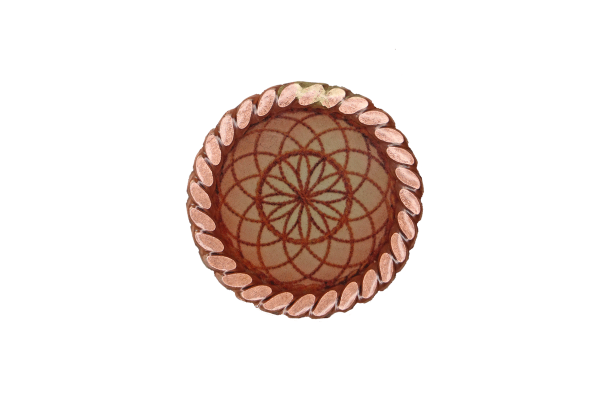 The Rings can also be used to communicate with water to create healing exlirs! 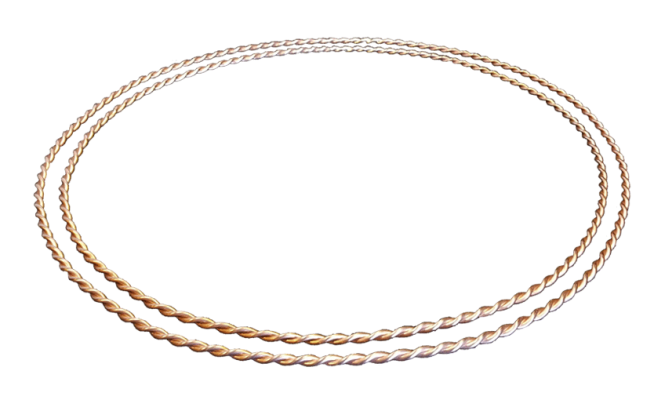 This particular Water Ring is the 3.75" Golden Fire Water Ring! Restructure and Energize your water, as seen in "The New Science of Water", simply by using our Water Ring with your container or glass of water!! Golden Fire Disc. Another super versatile, powerful, tool! Weather-proof stickable device to clear even the most unceasing frequency emitter! Use on your electrical panel to restructure the entire electrical emissions within your home, as well as your neighborhood!! 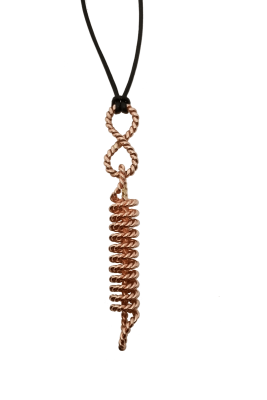 Toroidal Field Pendant for personal protection. 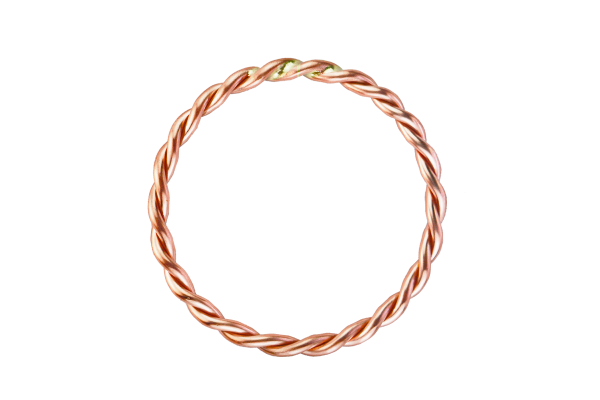 This particular Tensor Coil is the Golden Fire mini Coil Pendant. 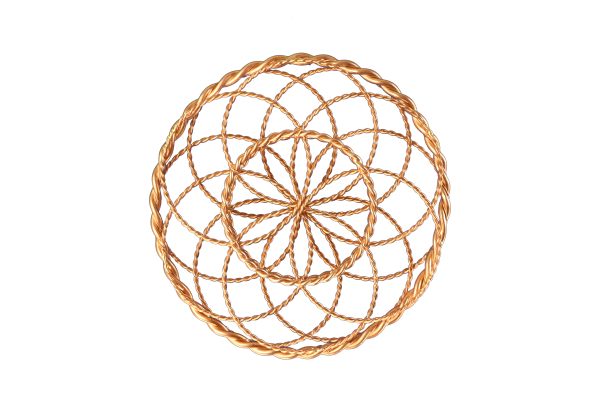 Recommended for empathic individuals, to be used for a personal filtration of others' energies! Special Gift for Quantum Conversation participants! Universal Light Attunement and Activations also included with this package purchase!! The process comes through in an audio download and distance session with Brian. Once you make the purchase, Brian will consciously connect with the space held for you, to offer assistance in the clearing process. When you follow along with the guided audio meditation, Brian and Brenda are both there, Soul to Soul with you. Before beginning the meditation, please be sure you are hydrated. Set your space with no distractions, so you can remain undisturbed for at least 15 minutes. You will be able to pick up and go right afterwards, or preferably you can stay in the moment and space of peace and bliss and just Be for as long as you choose. Notice, that once you choose this Activation, things will already begin to shift!! <h3style="text-align: center;">The past issue of Healing Conversations with Lauren Galey and Brian Besco. There were featured tool sets presented in those video conversations. 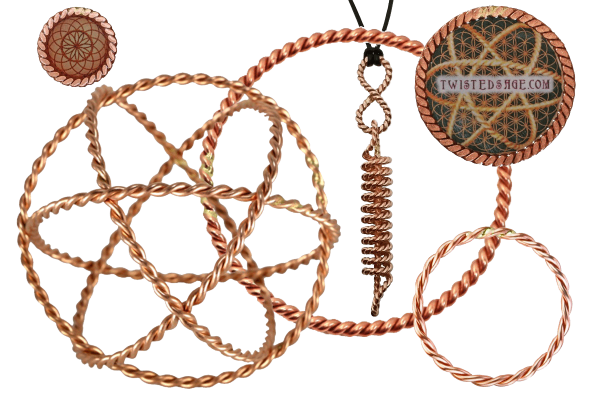 These tools from Twistedsage Studios have since been updated, and below are the new options now available. A set of two large Rings that are beyond Mastery... they are truly Transformational!! The larger Rings are versatile in that they can be used in both an Active and a Passive sense. These take place of the set of four Rings that were talked about on this program. The two Rings contain all that the set of four Rings contained, and so so much more!! !